Following its catastrophic failure with Myspace, News Corporation is preparing to dive back into the social networking game through an expansion of The Wall Street Journal website. At an investor day in New York, Lex Fenwick, CEO of Dow Jones, outlined the company’s plans to transform the Wall Street Journal into a ‘platform’ where users could do more than simply read the news. The focal point of this expansion is a new feature called WSJ Profile. 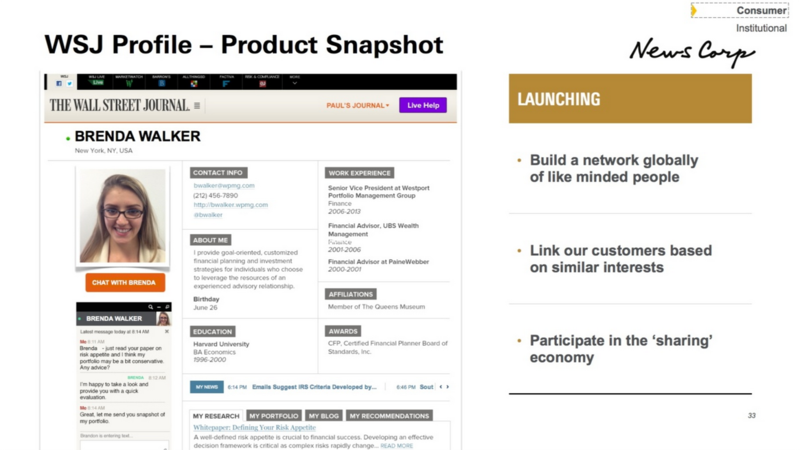 Each user will be able to set up an account and fill out what is essentially a digital version of their resume. A mock-up shown during the presentation – which could well be the final version – shows space for contact information, work experience, a short bio and educational achievements. It looks awfully similar to LinkedIn, which is perhaps not surprising given The Wall Street Journal’s business-focused readership. It’s also worth noting that this isn’t just a revamped account system for avid The Wall Street Journal readers, however. The image shows a private messaging service, as well as areas where users can upload their own research, portfolio and blog posts. “We will be able to build a network of like-minded people around the world, into a community,” Fenwick added. WSJ Profile will launch in the next couple of weeks, although the Dow Jones CEO didn’t specify whether this will be a gradual roll-out or full international release. It will be a huge shift for The Wall Street Journal and has the potential to give the company a wealth of data about its users. This information could help News Corporation to deliver better targeted adverts, thereby increasing the click-through rate from its users and commanding higher advertising rates from its advertisers. It will need to handle the social network a little better than Myspace, however, which it eventually sold to Specific Media in June 2011 for $35 million. A far cry from the $580 million it originally acquired it for. 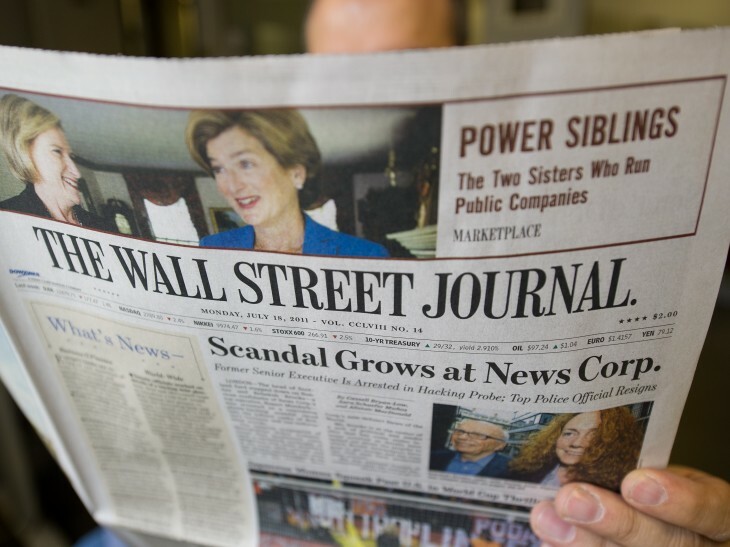 Combined with its online subscription, The Wall Street Journal is taking a two-pronged approach to a sustainable monetization model. Whether it can compete with LinkedIn, however, and offer an experience readers will actually want to use is another problem entirely.